In 2003 I was publisher of the Baltimore Business Journal and agreed to chair a major charity campaign. Our company, American City Business Journals, measures all kinds of performance indicators, and our paper was below average compared to the other 40 in the chain. I decided that I couldn't do justice to my day job or the charity campaign without doing things differently. At that time, a respected colleague told me that she had been using an executive coach and strongly recommended that I try it. I had been highly skeptical of the idea for a number of reasons. As a journalist, I had often been unimpressed with the work produced by consultants hired by government agencies. And how could an outside consultant with no journalism experience understand what my job was, and more specifically, our particular journalism niche? But my colleague's strong recommendation led me to interview three potential coaches. In a 45-minute trial run with the coach I eventually chose, Alan Dobzinski, he asked me compelling questions that made me think. What part of the business, if it improved, had the most potential for immediate positive change in business results? he asked. He drilled down with questions, and by the end of the session, I was saying out loud the changes I needed to make in some critical support areas. Over the next three years, I met three hours a month with Alan and worked on my leadership skills, on getting accountability, and on developing people, among other things. The results were both immediate and long-lasting. My direct reports became much more open and honest with me. We identified problems and worked on them together. The business results were significant double-digit increases in revenues and earnings. Our paper had significant growth in paid circulation two years in a row at a time when daily newspapers were losing subscribers. We began to work together more as a team. Our events became better attended, better executed and more profitable. For me, work became much more rewarding and less stressful. The paper's successes made it easier for me to retire on a high note in July 2006 to accept a Knight International Press Fellowship. Here's a photo of my coach, Alan Dobzinski. He and his former business partner, Margaret Wilson, have written a book on coaching called The Accountability Factor, which I've been using in my own coaching. Here in Bolivia, I'm working for nine months on helping professional journalists and students develop their skills. (In the photo I'm working at El Nuevo Dia newspaper.) 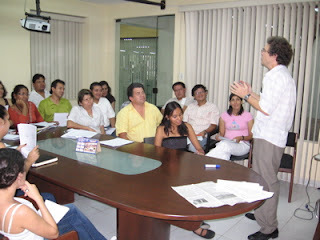 Many of the seminars I have been giving have been aimed at developing newsroom leaders. As in many other businesses, the top performers in journalism eventually are asked to teach and manage others. Usually they don't have much training in managing people. This has been a focus of my training here: how to set goals, gain accountability, develop people, communicate, conduct effective meetings and other leadership skills. A course I conducted at the Evangelical University here in Santa Cruz was called How To Start and Run Your Own News Media Outlet, and a portion of the course focused on leadership and people skills. At some of the largest news organizations in the country, I've been working with editors on handling the tough problems they face in working with motivated, creative people in a high-stress environment. As it happens, another Knight Fellow, Jesse Hardman, who is working in Peru, and I have been coaching each other with weekly phone calls (free on Skype). We hold each other accountable for performing certain tasks, ask about each other's challenges and make suggestions. 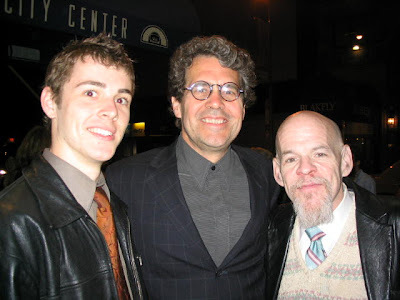 I'm also giving career coaching to my son, a 23-year-old jazz musician living in New York. He has several different music-related sources of income and is working hard to establish himself. We talk about once a week. I ask him how things are going, what kinds of challenges he's facing, what he's doing about it and occasionally offer suggestions. He actually gives me very good advice since he and I are doing similar things at the moment -- offering our skills to others in a variety of different ways and trying to find venues to perform what we do. This is my favorite souvenir of my six months here in Bolivia. 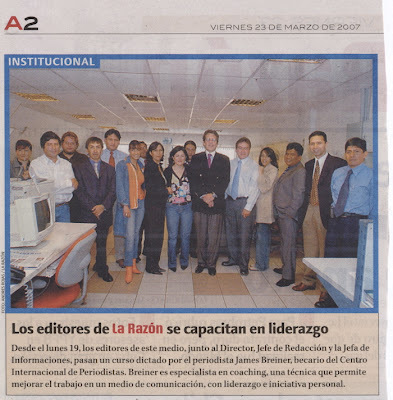 I spent a week with these folks, the editors at La Razon newspaper in La Paz, giving seminars on leadership and coaching. What does that mean? Leadership means giving people extremely clear expectations, standards and direction. Coaching means helping them reach these goals and their own professional goals as well. Most of it is learning how to communicate frankly and effectively. This group was really into the training, so there was lots of interchange and plenty of skeptical questions. On my last day there, they surprised me by running this photo on Page 2 of their paper. The photo caption says basically what I just said: that I was doing leadership training. If you click on the picture you can see it better. We did one day on how to handle real-life cases that editors face -- the arrogant reporter, the personal phone calls, the failure to meet deadlines, etc.. Most journalists get very little training in people stuff before they´re put in charge of other journalists, so this group welcomed the help. 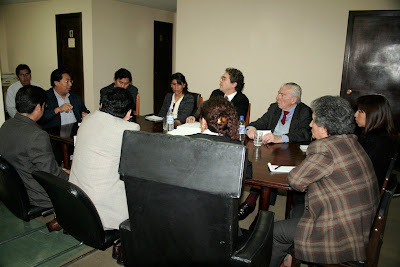 Father Jose Gramunt, to the right, is a Jesuit priest and highly respected newspaper columnist here in Bolivia. He appears in the major dailies and is a model of fearless political and social commentary. Because of his longevity and his independence of any political party over many decades, he has a unique standing. His opinions carry a lot of weight. He doesn't pull any punches, and he is as likely to question the tactics of the left as the right. He is also the founder and director of a national news service called Fides that is known for its independence and credibility, which really counts in a country where no one trusts any authority. Most of the papers in the country subscribe to it. It offers general news as well as sports, business, politics, crime, etc. Fides also has a radio news network of some 30 stations around the country. 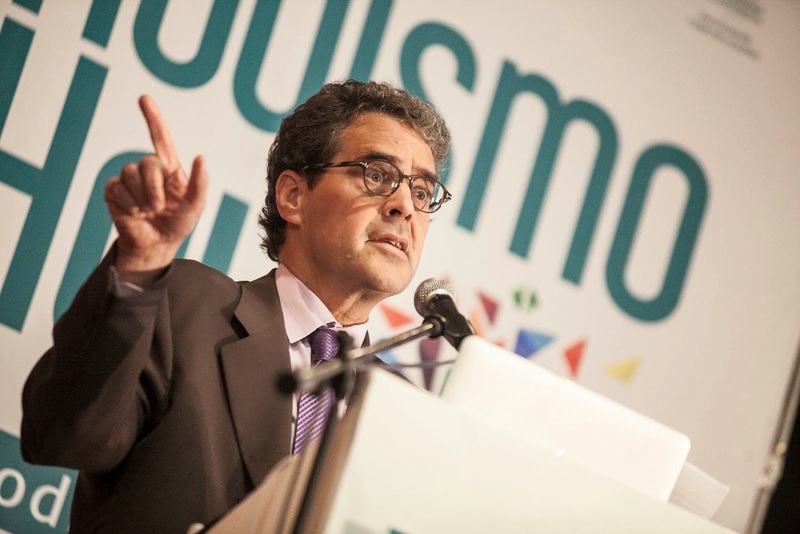 A recent report from the Interamerican Press Association mentioned that Gramunt's news agency has received threats from President Morales's party, which accuses the journalists of "promoting sedition with the goal of overthrowing the government of Evo Morales." Father Gramunt asked me to do a critique of a week´s production of the wire service for his 10 journalists. His goal: How could they make their news report more enterprising, with more initiative, and be less reactive? Over two mornings, and two batches of salteñas (tasty filled pastries), we went into that, and the journalists participated with lots of energy and enthusiasm. Journalists want to work for Father Gramunt. He has trained many of the best in the country. 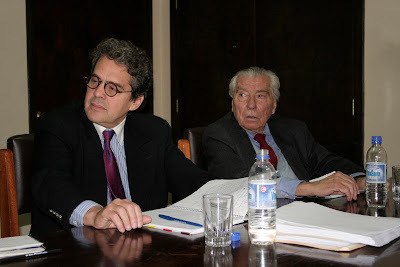 Born in Tarragona in Spain, he came to Bolivia in 1952 as a student and eventually persuaded his Jesuit bosses that he should be a journalist. The news service grew out of a Jesuit radio network whose original focus was on religious programming. Gramunt wanted to do more journalistic programming but the church couldn´t finance it. The only way he could make it work financially was to start a subscriber news service, which is what he did in 1963. It´s managed to pay its own way for more than 40 years. Gramunt, 84, has a real sense of mission. He knows how important a credible news source is in an emerging democracy. My wife, Cindy (here we're on the Isla del Sol in Lake Titicaca) tells me that my coaching is one of the best things that's ever happened to her. She notices that I listen better, am more attentive to what's going on in her world and am less touchy about accepting criticism. We don't argue as much about who's right. All of this translates into communication on a deeper level. Part of being an effective coach involves getting to understand oneself better. What are some of the things that block communication with other people? How can I recognize when I'm getting angry and how can I channel that energy into something positive rather than damage people and relationships? One of the disciplines of coaching is asking people a lot of questions about the challenges they're facing or the problems they're having at work. It means getting away from thinking about yourself and thinking instead about others. This very basic act has an unselfish, giving aspect to it. This practice of giving has all kinds of positive effects when it spills over into friendships and family life.